People who haven’t been trained in the legal profession typically pick up their knowledge of the law from questionable sources: acquaintances and co-workers, news reports about spectacular trials, John Grisham novels, and TV shows like Perry Mason and L.A. Law. The result is that the typical person has a lot of half-correct ideas and a lot of misconceptions about the law, including DUI law. 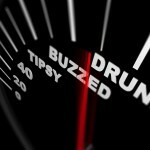 One of those misconceptions involves the consequences of a driving under the influence charge for your driver’s license. Many people do not understand that there are two separate proceedings, the DMV administrative proceedings as well as the criminal DUI case. Many people also do not understand that they need an experienced DUI defense attorney to represent them at the DMV administrative hearing because – for one reason – that process can be important as you and your lawyer prepare your criminal defense. Chemical testing is another part of driving under the influence law that is widely misunderstood. Even if you tested and measured a high blood alcohol content level when you were arrested, it does not at all mean that you will be convicted. A good DUI defense lawyer can usually dispute the test results, challenge the reason you were stopped in the first place, or develop another effective line of defense. Another misconception: Many people do not understand that your choice of attorney can make a huge difference. 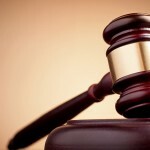 Many attorneys have little experience handling driving under the influence cases and the related driver’s license issues, but even an inexperienced attorney is preferable to representing yourself. The best strategy is to find a successful and respected driving under the influence defense attorney with years of experience representing driving under the influence clients exclusively. 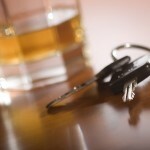 One final thing many do not realize about DUI convictions: the consequences can be harsh. You face not only a suspended license but possible fines, probation, community service, DUI classes, and even jail time. If you face any DUI charge in southern California – now or in the future – it’s imperative to obtain skilled legal help right away from an experienced Orange County DUI defense attorney.